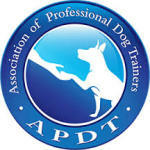 Nicole Rush, CCDT, is passionate about training dogs, their owners, and families. After ten years of teaching students with special needs in NJ, she decided to move to Florida to start a new type of teaching career. In 2014, Nicole started Pack Perfection to offer dog sitting, boarding, walking, and daycare services. Since then Nicole has become a Certified Dog Trainer and she graduated from her Master Class with honors through CATCH Canine Trainers Academy. Nicole has gained a great deal of experience working with a variety of breeds individually and in pack settings. She has worked with mentor trainers over the past three years gaining valuable experience understanding how to read and interpret dog body language. Nicole has a true understanding of how dogs think and learn so she can help solve behavior problems, teach basic and advanced obedience, and instruct owners on the many ways to mentally and physically exercise dogs. Her handling skills are commendable and her communication with dogs and humans is noteworthy. Following a philosophy of positive reinforcement, Nicole does not use, chokers, prongs, or e-collars with dogs that join her pack. She believes that good leadership and strong bonds are based on life rewards, not fear and intimidation. As a member of the Association of Professional Dog Trainers, she’s knowledgeable on the most current scientifically proven practices, equipment, and techniques in the dog world. She is fully insured by Pet Sitters Associates, LLC. 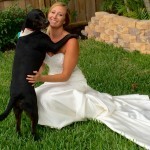 Nicole is a volunteer at the Broward County Human Society and Big Dog Ranch Rescue. She has also volunteered with the National Canine Crisis Response Canines. Nicole and her dog, Luna, are members of the Dog Scouts of America. When not training and walking dogs, you can find Nicole running, sitting on the beach, exploring new parks, and cooking.